d3 Technologies announced its newest media server, the 2x4pro. The new server, like the flagship 4x4pro, supports d3's interchangeable VFC (Video Format Conversion) cards, enabling users to drive up to 8 outputs as DVI, 3G-SDI or two DP1.2 from a single d3 2x4pro. "The 2x4pro is the natural evolution for our Pro range of servers," said Sarah Cox, d3's Regional Sales Manager EMEA. "It enables customers to join the d3 community or extend their d3 server portfolio, with a Pro product scalable up to 8 outputs. With the 2x4pro our customers will also be able to capitalise on their Video Format Conversion card investments with a product that hits the technical requirements for the everyday show or project." "The 2x4pro features a refined chassis with the same rugged connectors to be expected from d3s pro range servers," said Thyge Haarberg, d3's Product Development Engineer. "The system has decoupled sensitive components with a floating internal chassis and a new ruggedized VFC backplane offers increased stiffness and reliability." The new server also features a dual 10Gbit/s media network and 2TB of ultra fast solid-state storage. "The VFC cards give our customers the flexibility to use mixed signal types and mixed resolutions from the same hardware while experiencing extremely low latency when compared to other market solutions for splitting 4K," said Lars Paape, d3's Product Development Manager. "The 2x4pro enables customers to Push Every Pixel with two VFC card slots. As part of extensive testing and pre-launch program the 2x4pro has already been road tested on shows in the USA and Europe." 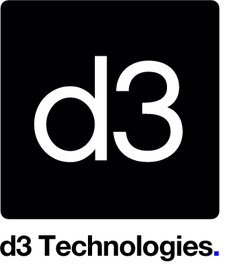 The d3 team will be delivering an exclusive introductory demo of the d3 2x4pro at Integrated Systems Europe (ISE), in Amsterdam this February at their booth in Hall 8, Stand H312.